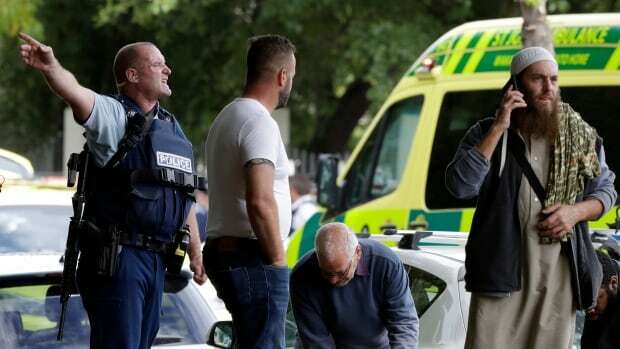 New Zealand Prime Minister Jacinda Ardern called the attacks “one of New Zealand’s darkest days” after at least 49 people were killed and 20 seriously injured in shootings at two mosques filled with worshippers during Friday prayers. A man in his 20s has been charged with murder and will appear in court on Saturday, said police. Ardern said the national security threat level in New Zealand was being raised to the second highest level. Public Safety Minister Ralph Goodale tweeted Friday that Canada’s threat level remains unchanged, at “medium,” in the wake of the shootings. A spokesperson for Goodale said Canada routinely shares intelligence with New Zealand and its other Five Eyes intelligence allies. “Any requested assistance that Canada can contribute to the government of New Zealand will be provided. However, we cannot comment on security operational matters,” Scott Bardsley wrote in an email. Canada’s national terrorism threat level has hovered at medium since October 2014 — meaning a violent act of terrorism could occur in the near term. Police in Quebec City, which endured a mosque attack two years ago that killed six people, Montreal, Gatineau, Que., and Ottawa have all confirmed heightened security near mosques Friday. Photos of the ammunition believed to belong to the suspect and that were posted on a Twitter account that has now been suspended show the name of Alexandre Bissonnette, who pleaded guilty in the 2017 shooting at the Quebec Islamic Cultural Centre, alongside the names of others who had committed race- or religion-based killings. “Far too often, Muslims suffer unimaginable loss and pain in the places where they should feel safest. Canada remembers too well the sorrow we felt when a senseless attack on the Centre culturel islamique de Québec in Ste-Foy claimed the lives of many innocent people gathered in prayer,” reads the statement. Heartbroken by the devastating news of deadly shootings at two mosques in New Zealand.<br><br>My heart goes out to the families of the murdered and all those impacted by this act of terror. Islamophobia kills – and has no place anywhere in the world.